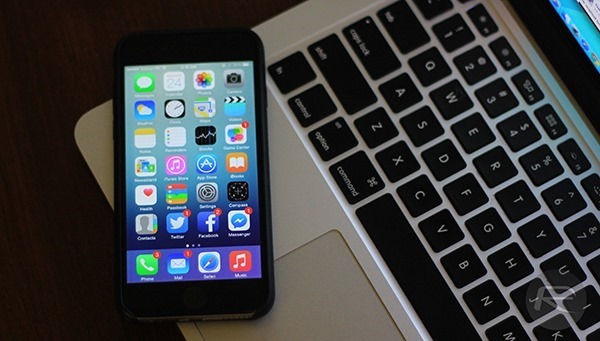 Smartphones have evolved dramatically over the last five years to become a necessity in our day-to-day existence, but what happens if you’re the forgetful type who happens to misplace belongings quite a lot? An iPhone is just another piece of mobile equipment, therefore making it small enough to be misplaced with relative ease. Thankfully, if this has ever happened to you there is now a solution in the form of a new jailbreak tweak called Clap. 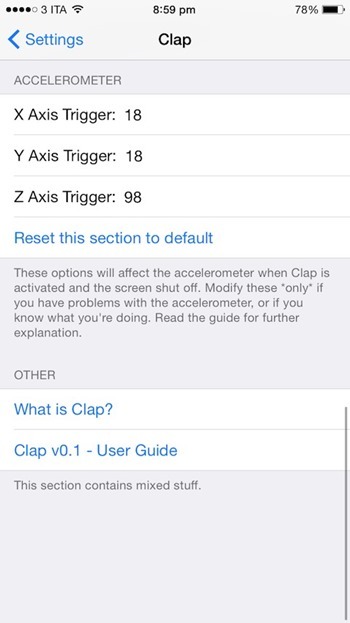 Clap is an extremely handy little utility that affords jailbroken users the luxury of locating your iPhone when you can’t remember exactly where you put it. We’ve all been in that situation. It doesn’t necessarily mean the iPhone is "lost", but we’ve all placed our phones somewhere in the house, car or workplace and not being able to remember exactly where it is. Clap is a very lightweight little installation that runs as a background process on the jailbroken iPhone, constantly waiting to respond to a loud noise, such as a clap, hence the name. In order to preserve as much battery life as possible Clap is developed to poll for loud noises at regular intervals rather than continuously waiting for an audible indicator to be received via the microphone. When a loud noise is detected, the tweak initiates a loud alarm on the device that should hopefully alert the owner to its whereabouts. 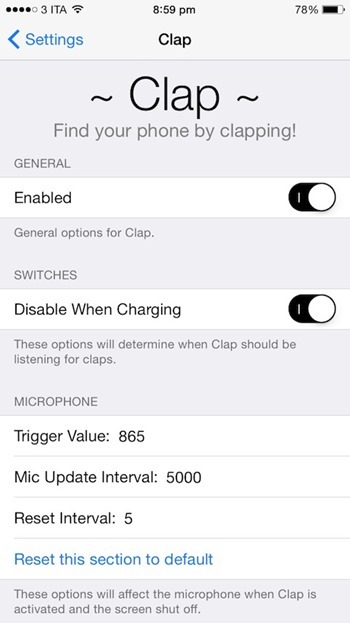 Clap also comes with its own preferences pane within the Settings app that allows for specific parameters to be customized, such as being able to immediately enable or disable the tweak and make sure it’s disabled with charging. The developer has also included configurable options that determine the sensitivity of the built-in iPhone microphone as well as the accelerometer; although these parameters should only be changed if you fully understand the consequences. Clap is actually a very sophisticated piece of work that gives the illusion of simplicity to the user, which is why it’s such a great little package. Clap is a commercial package, available as a $0.99 download from BigBoss repo. The package requires a jailbroken iPhone running iOS 8. No idea. Though one of my friend do able to clap with one hand too. Very interesting its seems to be very easy to find phone . Clap hand against other bare arm, or against your face !!!!!! January 1st, 2015…. um… running out of stuff to write about? A pretty great post. besides you can fid your lost iPhone using iLostfnder. I have used it recently. It works better.